We travel a lot. Usually we are heading to a half marathon or a blogging conference, or Mr. Beet is working out of town and I am tagging along. It’s great. Last year we traveled to 22 states and logged so many stays at hotels we ended up with a weeks’ worth of free nights. One thing I always try to do is plan an extra day somewhere so we can spend a day exploring the area without the commitments of work or a race. Austin was no exception. 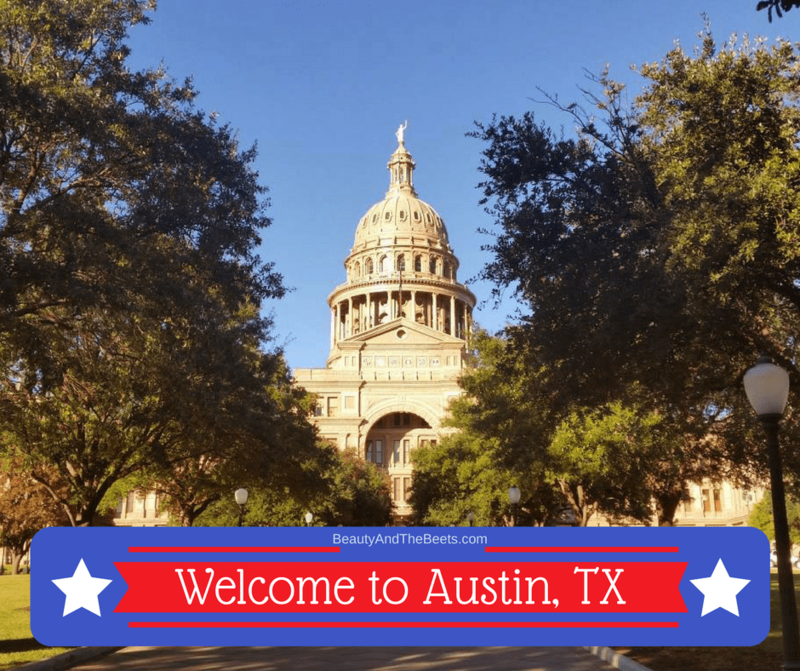 We loved Austin – we hardly began to even scratch the surface of all the activities and amazing food Austin has to offer. But we tried. We had no agenda in Austin for an entire day. Our first stop was to VooDoo Doughnut on 6th Street. The shop was started in Portland, Oregon and now has 6 locations – 3 in Portland, 1 in Taiwan, 1 in Denver and 1 in Austin. 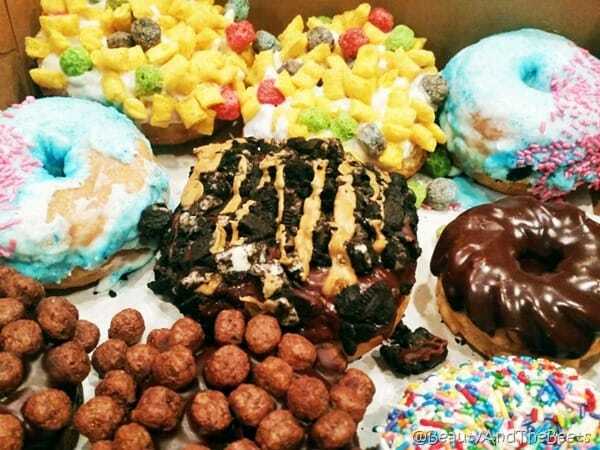 What we loved was the huge selection of colorful and fun freshly baked doughnuts, many of which are Vegan. This was a great way to start the day on a huge sugar rush!! We spent some time walking around 6th Street. 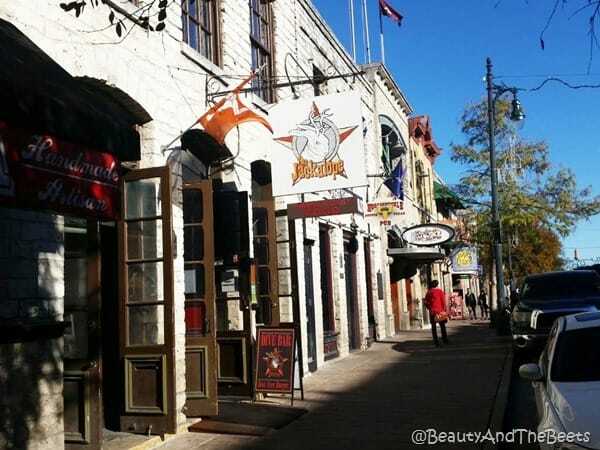 This is the main hub for Austin’s bars, trendy restaurants and live music. We found it amusing at the number of ATM machines that lined the main drag. 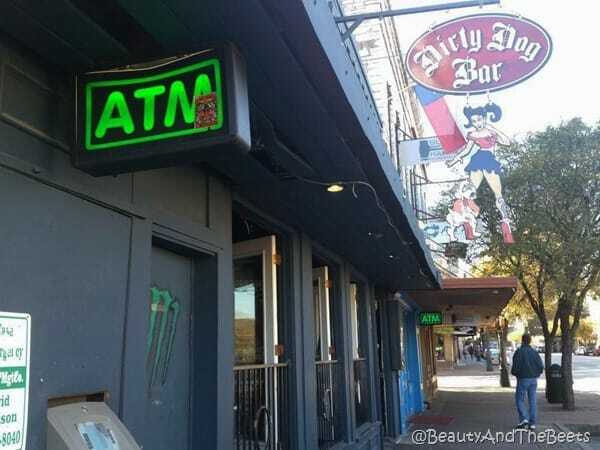 There was an ATM sign every 20 feet. I am assuming back in the day the bars and restaurants along 6th Street did not accept credit cards. Today, most of those machines have been removed though the signs still remain. 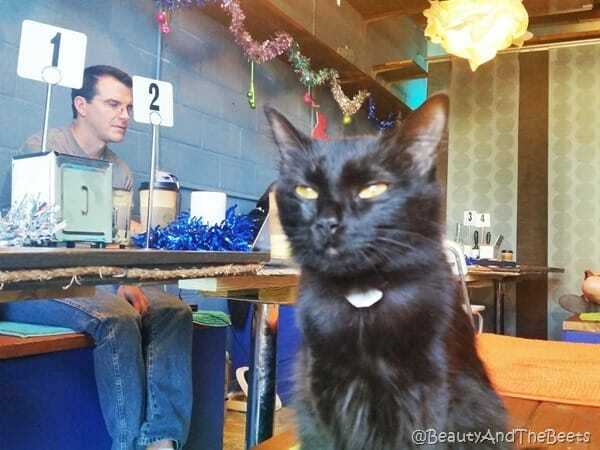 One thing I adored about Austin was the fact that there are many little shops that have shopcats. I guess cats provide good security at night??? We also admired many theatres that showcase the local music scene. 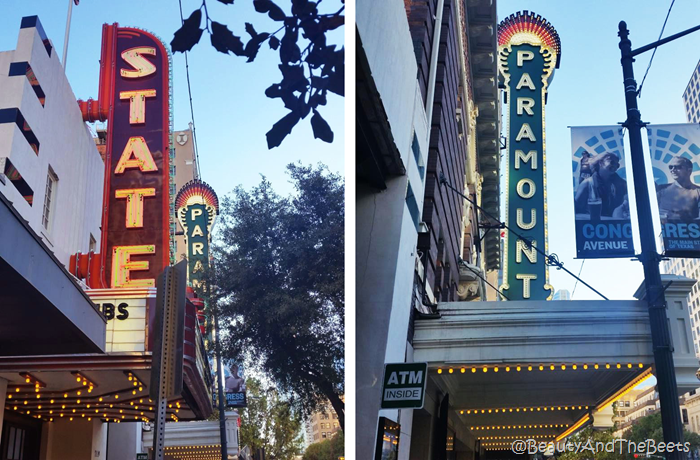 The State Theatre and the Paramount are two of the historical theatres that are just gorgeous and stately throughout the downtown. We had also found our way over to the State Capitol Building. We always seem to end up at the State Capitol every state we visit. 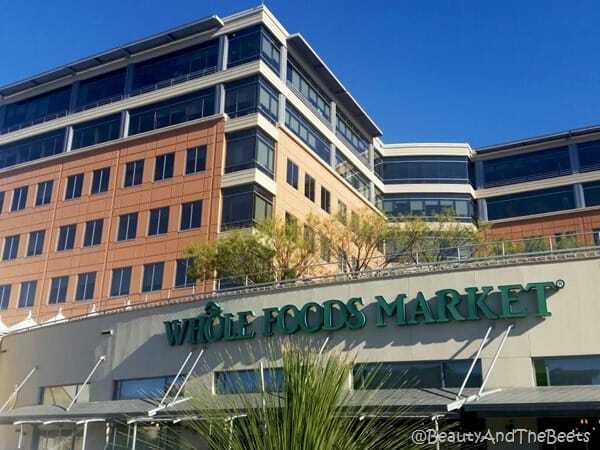 Next we found our way over to the flagship and headquarters of Whole Foods Market. 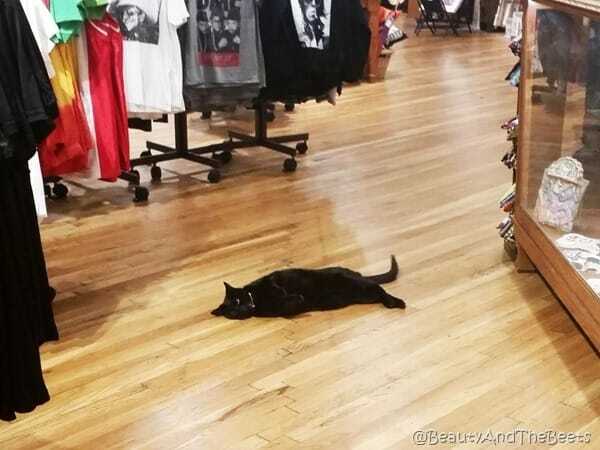 We spent a few hours there just walking around because this store is so different than other stores we have been to. I thought the entire market was more of a food court than an actual store, until we started walking up and down the aisles and realized this is a store first, a food court second. 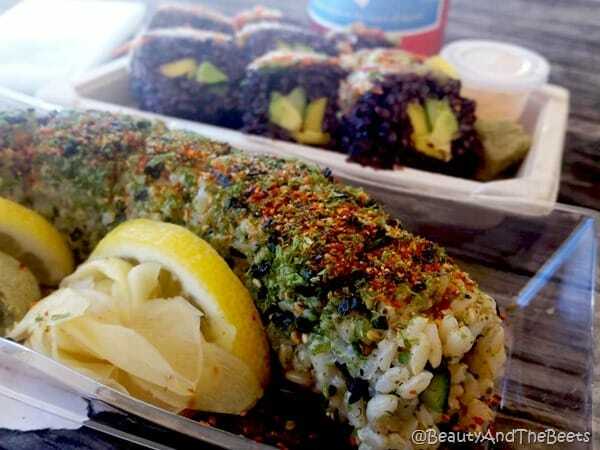 We decided on some sushi and a kombucha and took it outside to enjoy lunch in the beautiful weather. Another thing we love to do is check out the football stadiums of a major university in town. 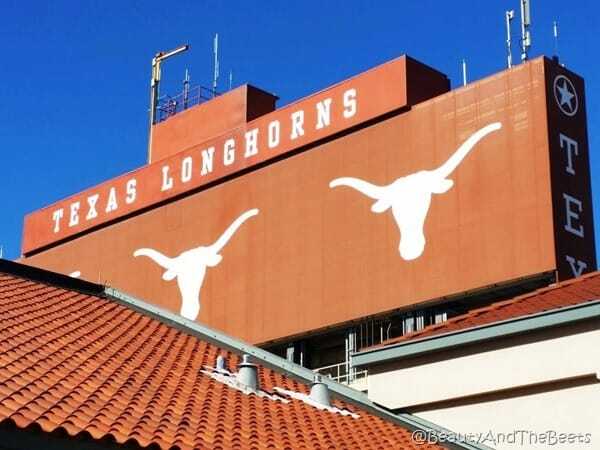 Austin is home to the University of Texas Longhorns and there stadium is huge. 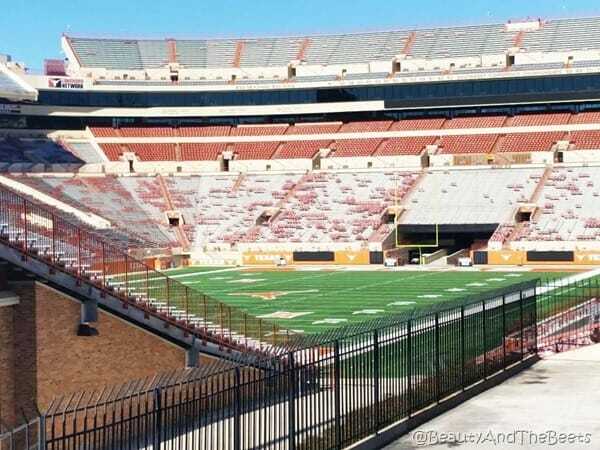 Sometimes the stadiums are open and visitors are able to go inside, but here in Austin it was locked up. We were still able to grab a few peeks at the field. Go Longhorns! 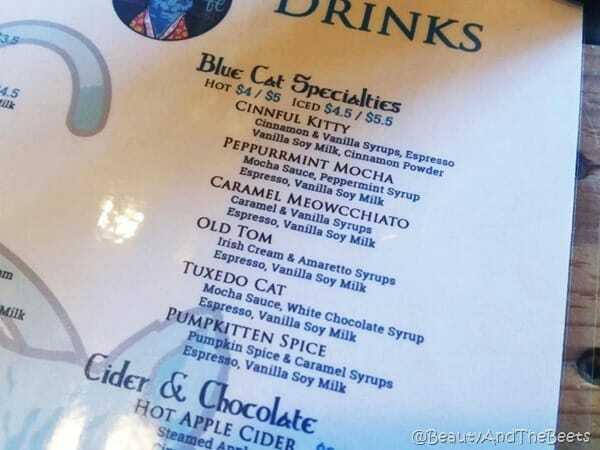 I had read about this spot called Blue Cat Café, a place where you can have a cup of coffee, work on the computer and hang out with a clowder of cats. 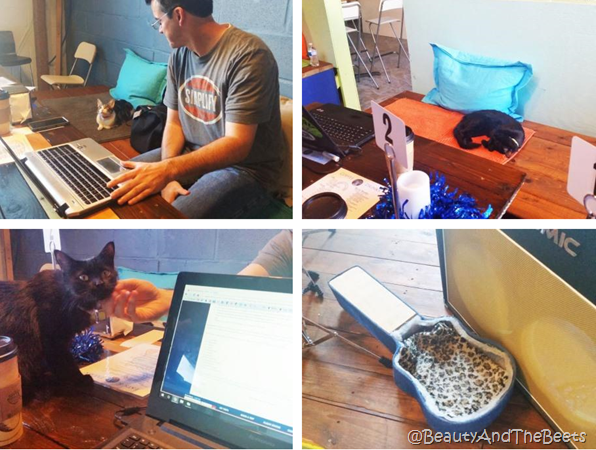 I ordered a Tuxedo Cat Coffee and we found a spot to settle in and work. 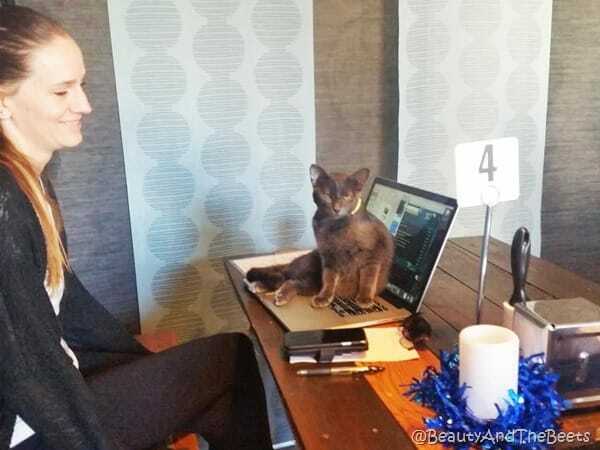 Before long we had some feline assistants who were demanding attention. 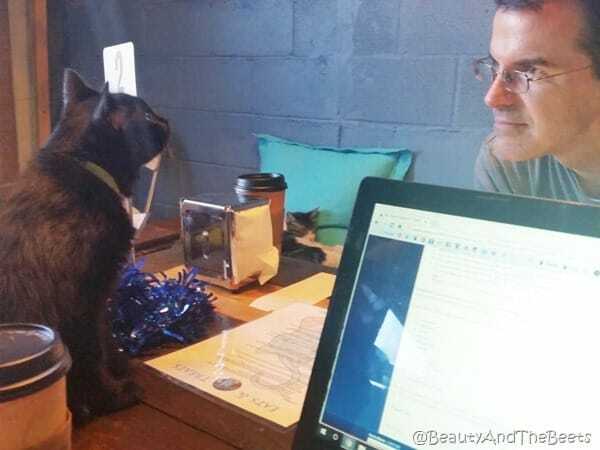 Other people at the café found it very difficult to get work done but we were determined to get something accomplished. Ya, that didn’t work out so well for us. 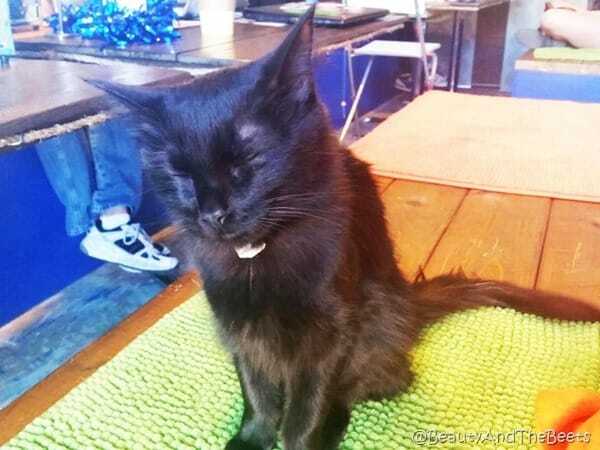 We were very very close to adopting our new friend Rosalie, as all the cats are available for adoption. Rosalie and Chad had some great conversations. This place is a dream come true for me! In the end, we decided that it would be so stressful to take Rosalie from Texas to Florida so we bid our goodbyes and headed to dinner. 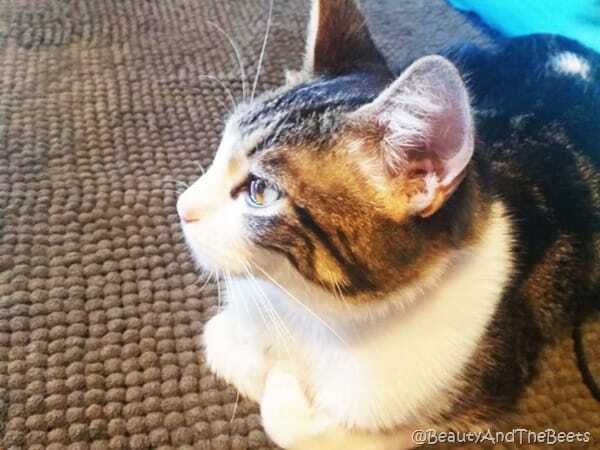 We learned that Rosalie was adopted the next day!! 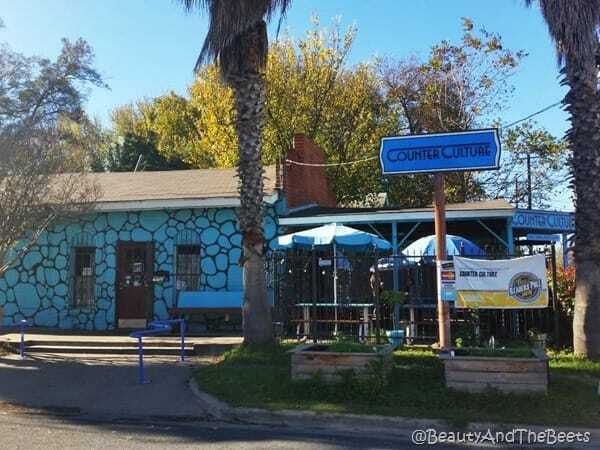 Dinner was at a place called Counter Culture – a restaurant that was recommended by the agent at our car rental agency. We were looking for a spot with some Vegan and Vegetarian food and this place came highly praised. And for good reason. 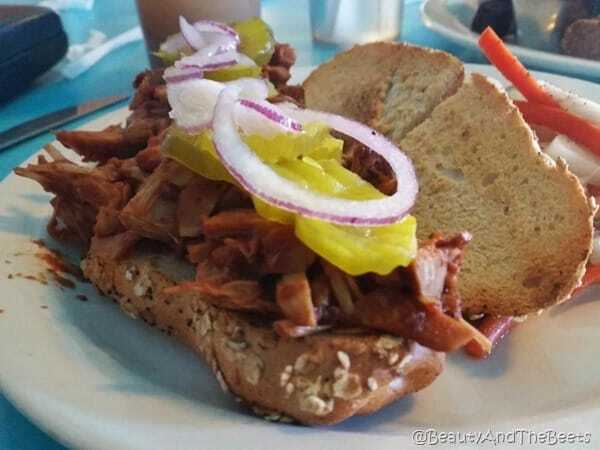 This was my first taste of BBQ pulled jackfruit and it was amazing. 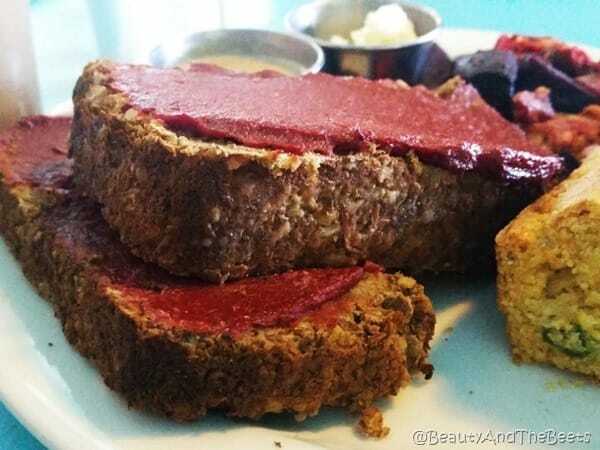 Mr. Beet loved his lentil meatloaf with quinoa salad and jalapeno cornbread. If we lived here, Counter Culture would be a restaurant we would visit on a weekly basis. 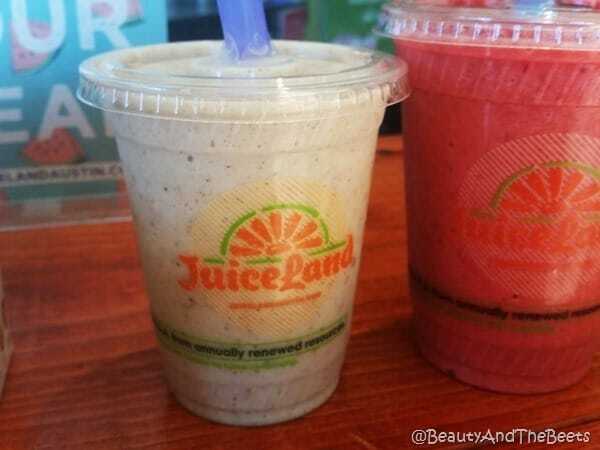 We decided on milkshakes for dessert so we headed over to Juiceland, a staple sweets spot in Austin. 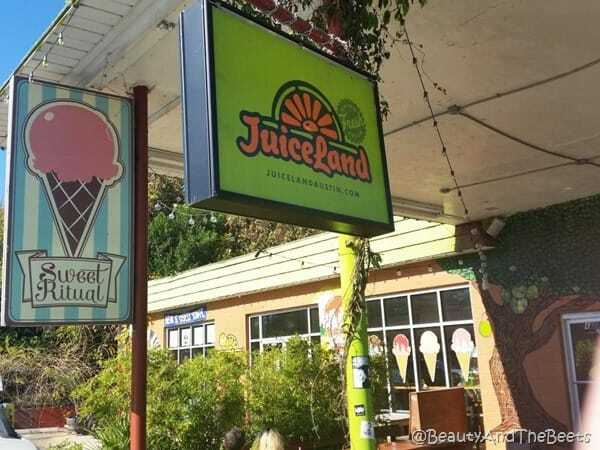 Mr. Beet had a Vegan Strawberry Shake while I enjoyed a Vegan Pecan Nog Shake. They had me at Vegan Nog. 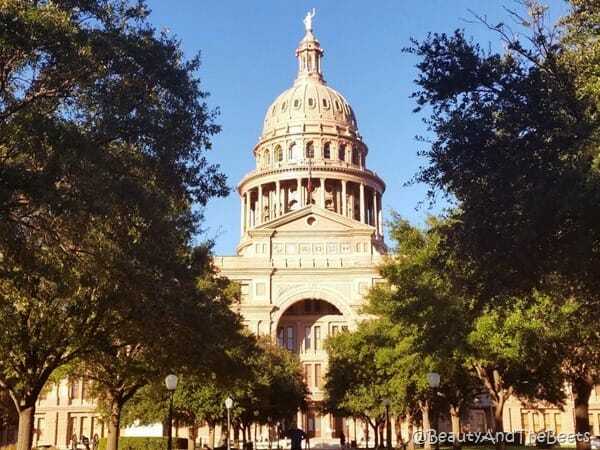 There is so much to see and enjoy in Austin – one day is hardly enough to explore everything. I cannot wait to go back! 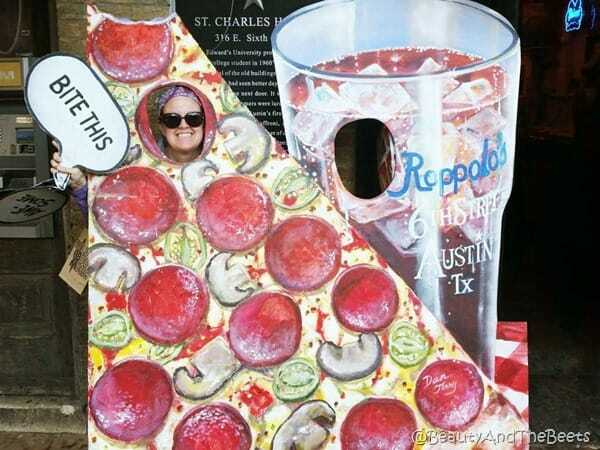 What are your favorite restaurants and activities in Austin? 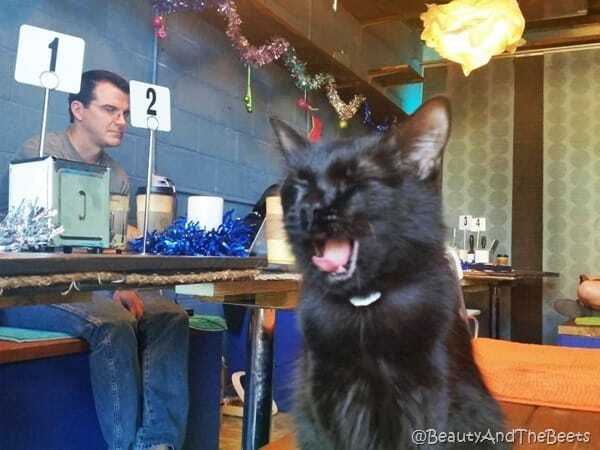 DEFINITELY need and want to go there 🙂 Love the Cat Cafe!!!!!!!!!!!!! 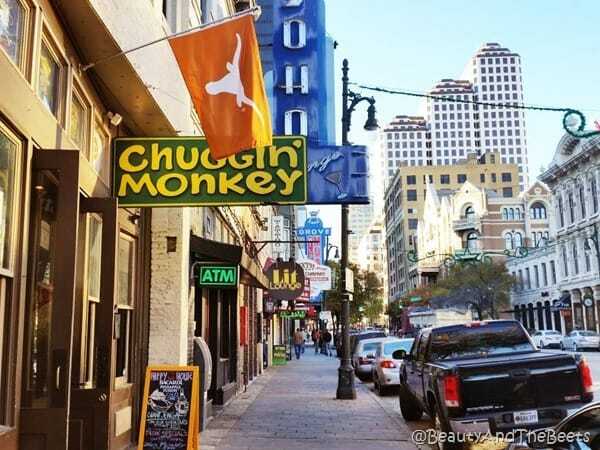 I like Austin, the music capital of the world, where the beat always goes on. Live music can be heard every night of the week, throughout the city. From renowned Sixth Street and the surrounding downtown area and spreading out in all directions, music fans can catch a plethora of genres like jazz, country and blues. Here is a quick blues byte to guide you while checking out the Austin blues scene. Whether it be down and dirty hip shakin’ grooves in a dark dive bar, or explosive electrifying power trios in a polished upscale pub, the music of the blues will bring you deliverance.